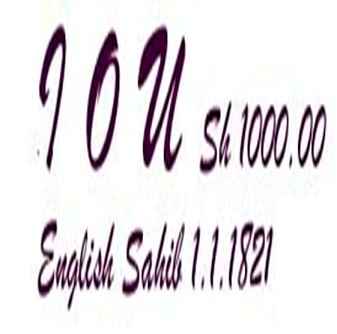 INTRODUCTION: This ode is a tribute to the Indian merchants and traders, who played an important part in the economic development of the three East African nations of Kenya, Uganda, and Tanzania. My work fills a gap in the histories of these nations in that, to my knowledge, no work has been written aimed at this particular section of East African Indian/Asian businessmen and even women, while some works on individual merchants exists. It also acknowledges the enormous effort these people put in, often under very poor and hard conditions. While the tribute is aimed at all the Indian, later termed Asians traders and shop keepers, we should bear in mind that these intrepid early trading pioneers also included Ismailis, who became prominent merchants and developers in all economic fields in East Africa. The Ismailis left behind an admirable record of their contribution, and this work touches them too. Many of my Ismaili friends have seen this piece in varying forms, and I am particularly pleased that it now finds its place in Simerg for general reading as well as for research and in particular posterity. The work is non-profit, and has been endowed to the Asian African Heritage Trust in Nairobi, Kenya. I would request readers to distribute this page, with its website link to all your friends and give it whatever exposure you see fit. To commence a life new they remained. Now to add to foods new and to make delicious curries. Now replaced the old morning maize meal the uji. Pretty cotton drapes and dresses. With all their fancy needs whims and cash ready. For all the people to be had. When men and women hauled their heavy loads. For all it was finally adopted. Man of the tiny mabati duka fame. It must be noted, that this tribute also extends to the many Indian women, who too braved the solitude, privations, and vicissitudes in inhospitable places, not only by accompanying their husbands, but also in many cases trading and running their dukas. Through the dint of hard application, many of these intrepid ladies also achieved commercial successes, and created entrepreneurial establishments and businesses of great value. Date posted: Sunday, May 18, 2014. Copyright: Kersi Rustomji, 2014 (The article, though copyright by the author, may be distributed as widely as possible for maximum exposure. Please credit the author and provide a link to this page). About the author: Kersi Rustomji, a Parsi, was born in 1936 at Kampala, Uganda. At age 3, his parents moved to Mwanza, Tanzania (then Tanganyika). In Mwanza, even as a child, he was interested in the flora and fauna and the people. Kersi roamed the countryside and observed all. A childhood fall from a tree, resulted in the loss of his left arm, but this did not deter him in any manner. When the family moved to Kenya, Kersi’s continued forays into the wilderness, and love of the flora and fauna, resulted in him receiving the Silver Acorn, the highest award for Rovers, when he completed a 100-mile hike. During his many foot safaris on Nairobi-Mombasa road and elsewhere, he came to know the Indian dukawalla well. It is his deep regard for their unabating pioneering spirit, that led him to write this much needed tribute. He had a varied successful forty years in teaching. He now lives in Australia, and continues to write stories with East African themes. He is also writing an autobiography. P.C. and D.C. After the Governor of the colony, P.C. the Provincial Commissioner was in charge of a large province of the country, and D.C. the District Commissioner of a smaller district of the province. OHMS – All East African the government vehicle bore this registration plate, which stood for, On His or Her Majesty’s Service. 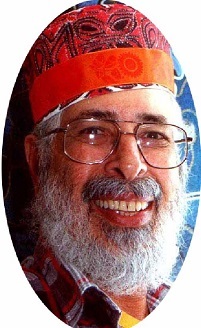 Pheta – A hard high headgear worn by Parsi men. All graphics unless otherwise indicated obtained from free public domains and reprocessed for the work by Kersi Rustomji. A number of thumbnails are from the Wellcome library, UK, and the US Library of Congress. The image depicts on the rich red soil, a typical Indian duka, a small trading store, in small towns and remote country areas of East Africa. The signage is also typically hand painted work of the duka owners. These put up with any paint at hand, included some spelling errors. The man behind the counter is my paternal uncle Jehangirji Rustomji, who first opened a small watch repair duka in the old Indian Bazaar, now Biashara Street, in early 1906 in Nairobi, Kenya. He later moved to the then Government Road, now Moi Avenue, in the corner of a chemist shop, Chemitex, next to the old Alibhai Sherrif hardware shop, going towards the Ismaili jamatkhana, on the corner of Government Road and River Road. Later his youngest son Rati joined him, and after Jehangirji’s death, Rati carried on the little business until 2009, when he retired and closed the little duka after 103 years of its existence. Rati still lives in Nairobi. Copyright: Kersi Rustomji. Thank you very much Karsi, very well said specially the minute detail. The Kiswahili brand ever popular. Too long a post. Deems a drone from Vali’s book that was a legend and never published! Only getting to know Kersi now as myself and another passionate Moshi resident begin documenting some of Moshi’s Indian history. I really admire that he has dedicated so much time to vaidating the history of Indian pioneers in East Africa. Would be grateful if any of you can put me in touch with people who lived in Moshi who were willing to share their stories, photos etc. Thanks. There is a WhatsApp Group called Kibo classics. Which year were you in Moshi? My wife and her family are from Moshi too since last 40+ years . I knew Kersi as a child growing up in Mwanza, Tanzania. We were in grade school together. I remember the very sad incident when Kersi lost his arm. I have not seen or heard from Kersi after I left Mwanza in 1950. I am a neurologist in Union, NJ USA. I have lived in the US for the past 51 years. I like to congratulate Kersi on the beautiful piece he wrote. Kersi now lives in Australia. Those of us with first hand knowledge of the degrading British colonial administration’s system of apartheid in Kenya and the hard fought movement that forced the colonialists to take down the Union Jack and honour the new flag of an independent Kenya, can only marvel that Kersi Rustomji chooses, with the dignity of a Gandhi or Mandela, not to politicize his remarkable insights into the history of the period. A sentimental and nostalgia filled trip to East Africa where I lived and worked for almost 2 decades out of which I worked for an Ismaili company (House of Manji Ltd.) for about 3 years. Now retired and settled in the US, and although an Indian by birth, there is a special place in my heart for East Africa and the memories that Kersi’s ode evoked. Keep it up Kersi and best wishes. “I am privileged to be one of the only two recipients of the hard copy of this work. It is a magnificent print edition, though the pages, alas, are not numbered. (F)irst of all [then] congratulations to Kersi for recording and telling this tale, which forms the backbone really of our collective history. It is a form of poetry in kaleidoscopic motion, as it were. His starting point is the building of the Mombasa-Kisumu railway (though of course there was already a significant Indian settlement in Zanzibar and the coastal parts of East Africa before that). There is lots more in Kersi`s narrative which lends credibility and weight to any number of academic studies and other literature on the subject of East African Asians who are now belatedly, at times even grudgingly, recognised as having played a pivotal role in the development of the region as a whole. It captures their transformation from pioneering first generation migrants at the beginning of the 20th century to their 21st century successful descendants superbly in this extraordinary publication. So our plaudits and grateful thanks to Kersi for his dogged effort and perseverance”. I was also born in 1936 in Chake Chake, Pemba, and heard a lot of stories from my parents of the trials and tribulations the Indian immigrant went through. My uncle actually wet through the stress of being a Dukawala “in the interior” working as a shop assistant in one of the Dukas. This is a beautifully written ode to the Dukawala. Good one Kersi. My scout master in our younger days at St. Tersa, Eastleigh. I remember those days well. Many thanks for the memories. Kersi Rustmji is one of a kind – a devoted East African Asian, hell-bent to ensure our memories of our days there are preserved for the generations to come. He has a parallel ode on the Railway Builder. He has a book of memories where he explains with illustrations all our pre-cricket traditional games – gilidanda, nagoliyo, hutututu. In one chapter he describes tree-climbing (which ended in a fall and an amputation) and in another “Women’s Co-ops” in making papads in a two-stage process. It’s hilarious. While many people in and out of my book recording our history in Uganda lost patience because the book took so long coming out – now nearing 7 years – Kersi never left my side and ran the extra mile to deflect ill-considered criticisms. He gets a very special mention on my Thank You page. Some of his writings are in my book with his permission. Oh, the book will come out, I can’t eat it, although some people might make me eat some of my words. Mistakes will be pointed and an accusation made that I favoured the Ismailis or rich people. I did neither. and your readers are gratefully beaming! most deservedly earned and won! Wonderful! Great contribution and tribute to Indian pioneers in East Africa. I recall all the brands in the pictures and the shillingi currency.